It was the day before Labor Day when I received a newsletter from one of my favorite online shopping website, Old Navy. It was also a great opportunity for me to use the rewards I received from them base on using my CC and store credit in order to gain more rewards from them. The first rewards cost $25 and the second was only $5 that makes it all $30.00. The mall isn't that too long, but my family and I were hardly ever visited the place as we usually don't buy most of our things there. Anyways, it was perfect that I have also received another discount of 20% off online use only. A great chance for me to use my $30 rewards as long as I have at least $20 more to buy in order to avail the free shipping. You see, I am cheap when it comes to pay the shipment. I would rather use that amount to buy more stuff and gain free shipping rather than buying something and I have to pay the shipment. Moreover, without hesitation of the great sale labor day event online. I have picked few clothes for my little man, my husband and of course for myself. It reached to the total payment of $54.85. I used my reward $30, promotions are $10.97, handling and shipping are now FREE because my total was over $50.00 which brings my total payment of $13.88. And paying that amount for 8 pieces of pants, and shorts and shirts together aren't bad at all. It seems like I only paid $1.735 each item. 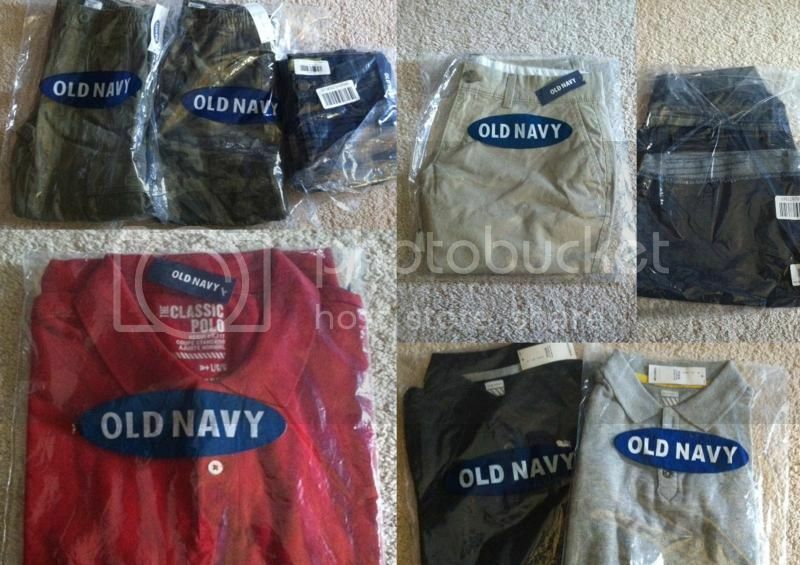 Thank you OLD NAVY for the freebies, this isn't the first time that I enjoyed their promotions, most of our clothes are from old navy as I love the good quality of their merchandise and it's where I mostly find my right sizes too. Wow shopping wise indeed, i love sale and i like Old Navy. However i don't normally shop clothes online i rather wanna fit it first before I purchase it. I have learned my lesson, some clothes looks good online but not in person or sometimes the sizes are just not right for me for some reason. Great savings there MOmy, you definitely had a great and awesome deal! That's good that you practice being frugal. It does help a lot to be a wise and budget conscious shopper. Oh, BTW, if you need coupons, I have a link on my blog, its on the right sidebar (I think it is called coupon insanity). Maybe you'd be interested to check it out. My wife always goes for Sale.. Sis, there is nothing wrong about being frugal basta fashionista pa rin.